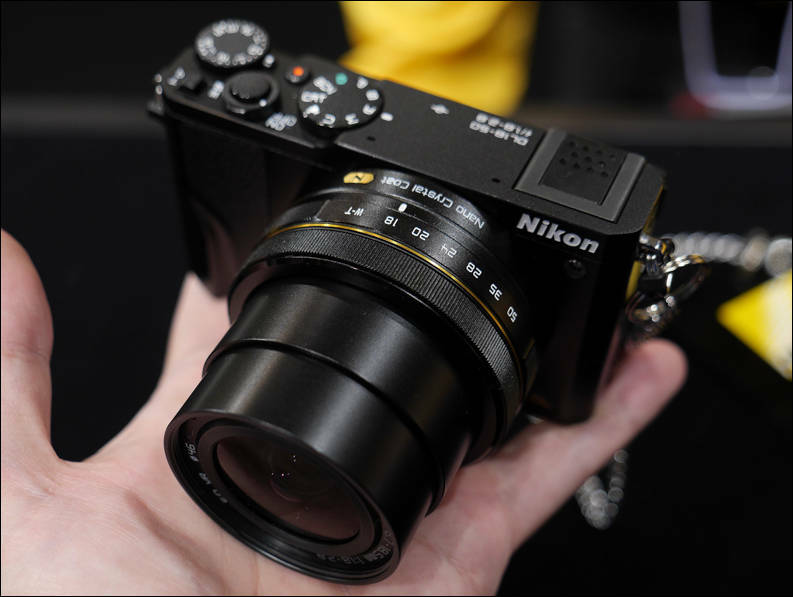 Today, Nikon Inc. announced the new DL Series of premium compact cameras. These pocketable yet powerful imaging tools offer an elite level of imaging prowess that fits easily in one's palm. Equipped with a variety of focal lengths optimized for different types of shooters, the DL24-85, DL18-50 and DL24-500 combine powerful NIKKOR optics with a large 20.8-megapixel (CX-format) 1-inch BSI CMOS sensor to produce stunning image quality and amazingly detailed images, even when shooting in low-light. Cameras in the new DL line will also feature powerful performance, with high-speed Autofocus (AF) and 20 frames-per-second (60 fps with fixed AF) continuous shooting capability for fast action moments, as well as 4K UHD video recording for users to tell their stories in new ways. Ergonomically designed and familiar for advanced users, all three cameras will utilize the new Nikon SnapBridge connectivity to make it easier than ever to shoot and share with ease. "We recognize consumers' desire for smaller cameras capable of outstanding image quality," said Masahiro Horie, Director of Marketing and Planning, Nikon Inc. "With the new DL line, Nikon is proud to fuse legendary NIKKOR optics with the latest innovations in imaging to provide advanced photographers amazingly compact tools capable of capturing photos and video that even the most discerned professional would be proud of." 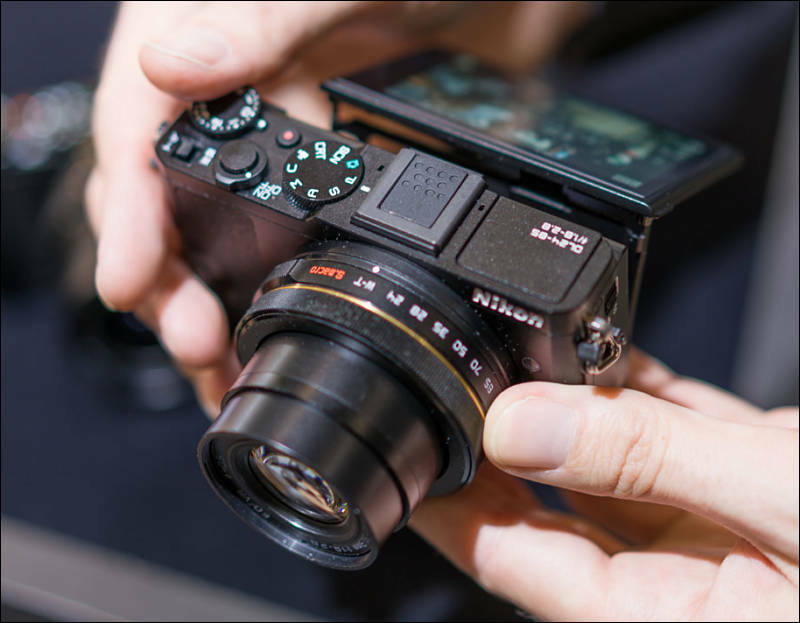 The new DL line of premium compact cameras packs innovative and powerful imaging technology into elegantly designed yet remarkably compact camera bodies, making it easier than ever to carry pure imaging prowess in the palm of one's hand. 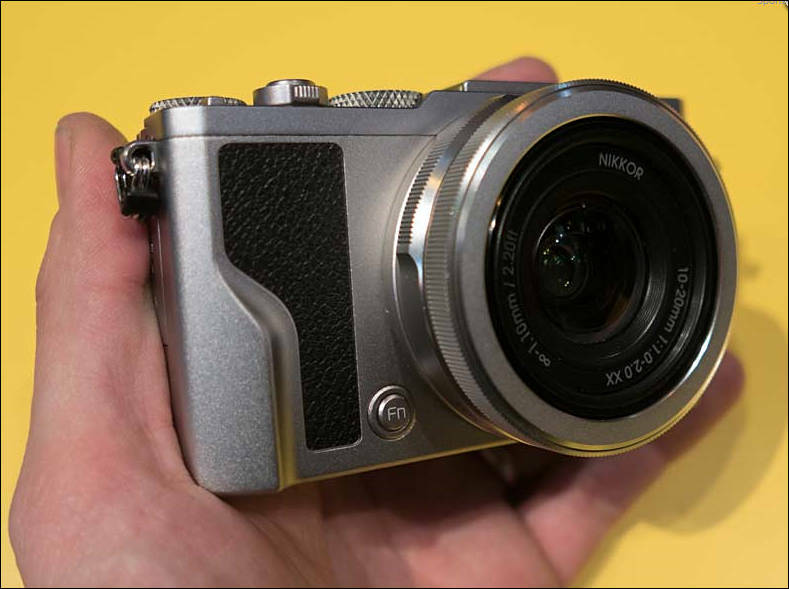 All of these new cameras are designed with a 20.8-megapixel CX-format (1-inch) BSI CMOS sensor, which when combined with fast, high quality NIKKOR glass, help to create stunning image quality for stills or 4K UHD video. Working alongside the new sensor is the new EXPEED 6A image processor that allows for impressive noise reduction and powerful, fast performance, making it possible to capture stunning low-light street photography, beautiful portraits or spectacular landscapes with ease. For fleeting moments and fast-action, the DL line incorporates a high-speed hybrid autofocus (AF) system featuring 105 phase detect focus areas (with 171 focus points in contrast detect AF mode), as well as continuous shooting up to an incredible 20 fps, with capability to capture up to a blazing fast 60 fps with focus locked on the first frame. The DL series also features Dual Detect Optical VR technology to compensate for camera shake while handheld or at slower shutter speeds. Continuing the impressive legacy of NIKKOR glass, each new DL camera features a unique lens design capable of amazing resolution and beautiful background blur (bokeh), with impressively fast apertures. The lens barrel also includes a manual focus ring, giving users enhanced control over focus on any subject. Each NIKKOR lens is also equipped with a fluorine coating that helps repel dirt, water and oil, and also facilitates easy cleaning. For the first time in a Nikon compact camera, the DL18-50's NIKKOR lens will utilize Nano Crystal Coat to help reduce ghost and flare, particularly useful when shooting at a wide-angle. With the best NIKKOR technologies now integrated into compact camera models, users will be able to capture phenomenal images with amazing detail time and time again. The DL24-85, DL18-50 and DL24-500 put creative control in the hands of each photographer and are all operated using the familiar Nikon DSLR menu design and an assortment of physical controls. The series also supports RAW (NEF) image capture, full PSAM manual controls and over 20 preset creative options, for use in both still and video shooting (including Picture Control, Creative mode, Multiple Exposure Lighten) to help challenge each user to expand their photographic horizons. The DL line provides the tools to frame nearly every shot, with all three cameras sporting high-resolution 1,037k-dot OLED Touch displays. While the DL24-85 and DL18-50 allow for tilting, the DL24-500's display provides full Vari-angle capability, vitally important when shooting from unique perspectives. 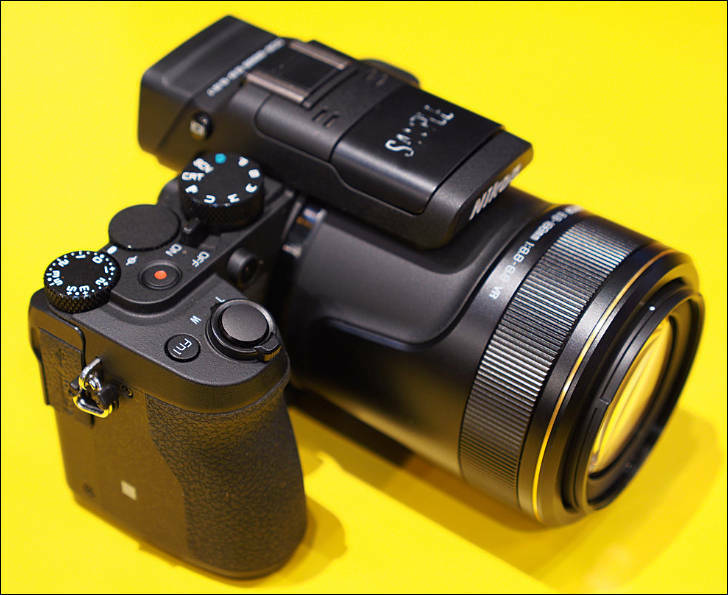 Even further customization and control is possible utilizing the hot shoe/accessory shoe available on DL24-85 and DL18-50 models that allows for complete system expandability with the DF-E1 optional electronic viewfinder. The DL24-500 also sports a hot shoe and a stereo microphone input jack, while all three models are compatible with Nikon i-TTL Speedlights. Nikon SnapBridge makes it easier than ever to shoot and share amazing images with friends and family. 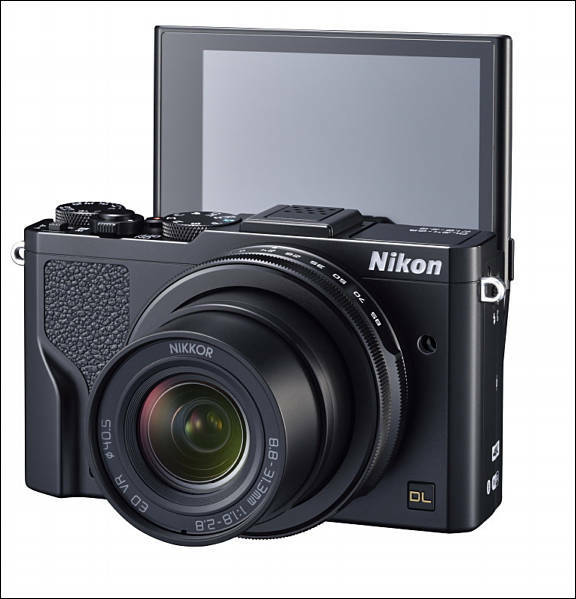 Available throughout Nikon's newest line of premium compacts, SnapBridge utilizes Bluetooth®1 low energy technology (BLE) to provide an "always on" connection to a compatible2 smart device. Users can now seamlessly send images from their camera to a smart device (utilizing the new SnapBridge app) for easy sharing via social networks or to the cloud for instant storage. An unlimited number of thumbnails and 20 GB of storage will also be available for registered Nikon owners and SnapBridge users on Nikon Image Space, Nikon's free image storing service. Additionally, built-in Wi-Fi3 and NFC remain available to help facilitate easy connection and sharing. Through Nikon SnapBridge, users can also operate their cameras remotely using the app, automatically synchronize time and location information to any image utilizing the camera's constant connection to a compatible smart device, as well as embed information on any image, including copyright or photographers' names. Lastly, firmware updates have never been easier, as Nikon will send registered users firmware information via the new SnapBridge application, directly to their smart device. 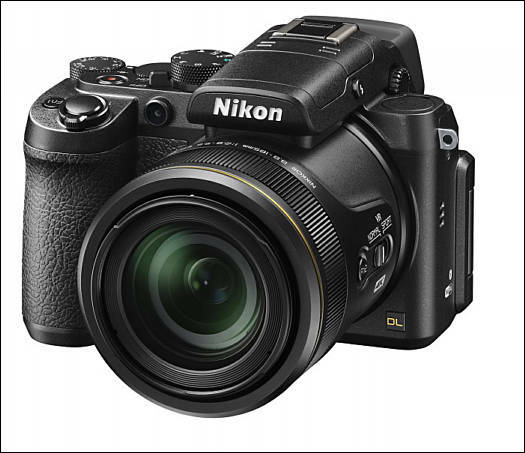 The DL series will be among Nikon's first compact offerings to support 4K UHD video capability [3840x2160] at 30p, affording users the ability to capture incredibly beautiful video with remarkable detail, all with a compact camera. Multimedia photographers will have free reign over their creative vision with the ability to utilize PSAM selectable exposure modes while recording, alongside popular movie features like HDMI output to an external recorder, slow motion to 1200 fps and the ability to grab stills from video. Other creative video functions available include: Full HD movie, HD movie, Motion Snapshot, Slow motion, 4-second movie, Time-lapse movie, Superlapse movie and Jump cut. Great for travel, portraits and general photography, the DL24-85 offers pocket-sized imaging power with a fast and versatile 24-85mm focal range. Compatible with 40.5mm threaded filters, the newly designed NIKKOR lens (11 elements in 9 groups) features a 3.6x zoom range (7x with Dynamic Fine Zoom4) and a wide f/1.8-2.8 aperture, empowering users to capture a wide variety of subjects with incredible detail and natural bokeh, even in low-light. The 24-85mm offering also features Dual Detect Optical VR, AF bracketing and a tilting Touch OLED display to make composing from creative angles easier than ever. Exclusive to this DL model is a new Super Macro Mode (1:1) that helps capture even small subjects in life-size detail. Setting manual zoom on the camera to super macro position allows the user close-up shooting at a 35mm equivalent magnification, providing amazing detail whether shooting flowers in bloom or a wandering ladybug. Macro photographers can utilize a variety of camera functions within the mode, including focus bracketing, manual priority AF (M/A) mode and peaking indication, to truly customize the look and feel of every image. For landscape and architecture shooters looking for compact, ultra-wide angle DL option, the DL18-50 provides a solution that fits easily into any photographer's pocket. Starting at a wide 18mm and expanding to 50mm (2.8x zoom, 5.5x with Dynamic Fine Zoom) the camera sports a powerful NIKKOR lens with a wide f/1.8-2.8 aperture that makes it easier than ever to produce natural bokeh in any image, while capturing tack-sharp stills and video. This lens is compatible with 46mm filters and features Nikon's Nano Crystal Coat to help reduce ghosting and flare. Those who choose the wide-angle DL premium compact can also take advantage of perspective controls to help compensate for image distortion, particularly for shooting tall objects from the ground like landmarks and skyscrapers. Tailored for architecture shooters, this feature helps to capture the correct perspective with ease. For use with the DL24-85 and DL18-50, a newly designed optional DF-E1 electronic viewfinder (EVF) will be available for discerning photographers who desire for a traditional eye-level viewfinder to frame their photos. The compact DF-E1 features a 2,359k-dot resolution with eye sensor, alongside a tilting mechanism, diopter adjustment and anti-reflection coating, helping provide further clarity and versatility for DL shooters. The DL24-500 offers the longest zoom capability of any DL premium compact, reaching an incredible 500mm focal length and 21x optical zoom (42x with Dynamic Fine Zoom). Combining Nikon's new 1-inch sensor with this impressive super-zoom NIKKOR lens, the DL24-500 is an ideal choice for users eager to photograph and share anything from concerts to wildlife. Featuring an f/2.8-5.6 aperture, this lens (compatible with 55mm filters) integrates the newest NIKKOR technologies to help render amazing images and background blur, even from afar. The DL24-500 also features Dual Detect Optical VR, particularly useful when shooting at extremely long focal lengths or without a tripod, a built-in electronic viewfinder (EVF) with 2,359k-dot OLED display and an eye-sensor and a Vari-angle 1,037k-dot LCD screen. The new DL24-85, DL18-50 and DL24-500 will be available in early summer 2016 for suggested retail prices (SRP) of $649.95*, $849.95*, and $999.95*, respectively. Pricing and availability for the optional DF-E1 electronic viewfinder, compatible with both the DL24-85 and DL18-50, is TBD. For more information on these new Nikon products, please visit www.nikonusa.com. Interesting cameras. Also can do 720 at 240 frames per second. ....'cept no 24p...ain't that weird ? Before becoming killer you need to force retail to get this cameras in stock. Is there any mention of bitrate or the availability of Nikon Flat profile? What are the Video recording limits? How long will that little battery last? Why not interchangeable Nikon 1 lens or will there be a much improved Nikon 1 camera coming soon? 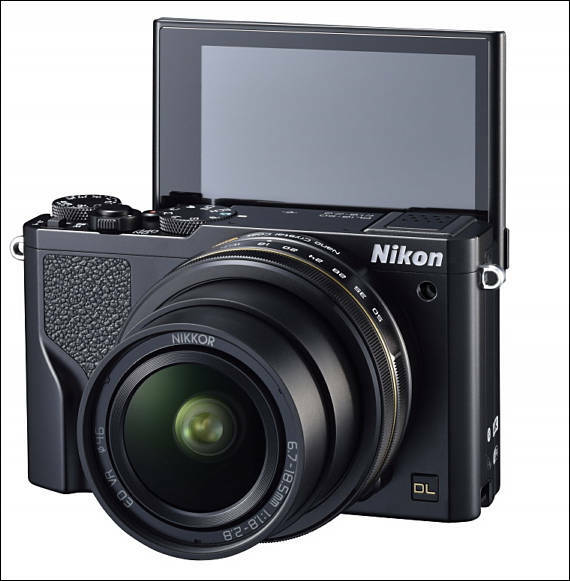 Why does Nikon put their latest 6A processors in there cheapest cameras first. Only Expeed 5 in D5 & D500. Why does Nikon put their latest 6A processors in there cheapest cameras first. It is quite standard practice for many years. Panasonic frequently debuted LSI in TZ cameras. I'm thinking for wedding photographers it would be ideal to shoot a ceremony with the usual dual cameras, but to throw in the DL18-50 for wide angle coverage. That would be for the ceremony when longer reach is usually needed more, but moments might pop up where you want to go wide. As the sun goes down and party kicks in, then for reception I'd likely switch the 85mm to instead a 50mm or even 35mm on the D750 as you will get in closer for those dancefloor shots. And the 85mm can go on the D7200 instead. The DL18-50 would also be perfect for real estate videographer/photography. I wonder if one day Nikon might make a DL85-200 as a compact portable portrait camera. Would make for a perfect companion to the DL18-50!! And be better, cheaper (or at least a similar price), and more compact than buying a Sony RX10 mk2 to do the same thing. Cameras will be available only starting July. Nikon DL18-50 f/1.8-2.8, DL24-85 f/1.8-2.8, and DL24-500 f/2.8-5.6, will be delayed due to the serious issues with the built-in integrated circuit for image processing. "serious issues"...the processor...wow, that's a first ! redesign team ...welcome aboard ! I think issues come from cuts in engineers numbers. Sony had issues with a6300, now all this with Nikon across many of their products. Now date changed to June 30th, or may be in reality it is just made up to cover delays. Yeah shows you can't hate too much upon BMD for their delays, even the big boys like Nikon can slip up too!